Need modular space in Georgia? Complete the simple form below and your request will instantly be seen by qualified modular building suppliers in Georgia who will call you with the best prices and delivery times available in the state. All sizes and configurations available for rent or purchase. How much should a modular classroom cost? Question and Answer. 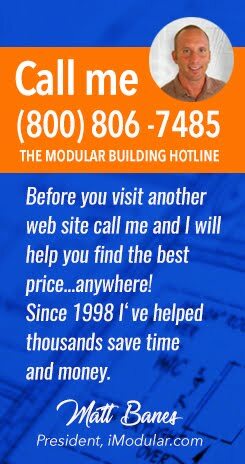 "I used this site to buy modular office trailers for 3 of our locations in the U.S. and Matt helped my company save thousands of dollars and a lot of valuable time." Modular buildings, portable classrooms and more. All rights reserved 2012-2017, GBM Marketing, Inc.. Simple theme. Powered by Blogger.